Our primary mission at Quality Recording Solutions is to provide a much safer community for everybody and to also support public safety professionals. We wish to do all these with the use of individualized and friendly services and all of it's going to be feasible with our up-to-date, inexpensive and dependable voice and data recording samples meant for public safety and support agencies situated in the Southeast. We already have a lot of experience in serving 911 centers, police stations, fire stations, financial institutions, government establishments, hospitals and more so you can expect that we already have the tools to deal with organizations in Albany, GA.
Quality Recording Solutions was created in Roswell, Georgia in the year 2000. The business is always centered on its core values and its devotion to family values. They also consider the tough work and work balance for all their employees because they know that looking after a happy and satisfied team of professionals will offer them with better service quality and customer relations. We have more than 40 years of experience in this industry and we also have team members which are beloved and trusted leaders in the public safety community in the southeast. If you're going to ask around , responders, officials and telecommunicators know who we're. The value of the company is on the culture and personal relationships with clients. We can provide the best technical and individualized customer service and do what we do best. We always keep our growth concentrated and intentional and we can concentrate on the quality of the services. We've got been providing a stellar product line in the Eventide Recording Equipment. Our solutions actually include the supplying of analog, digital, T1, PRI, ISDN, VoIP, RoIP and different specialized integration to existing products in communication centers. As of at this time, QRS is assisting legacy Eventide products like the Marathon Pro, Evolite, VR320, VR725, VR778, DIR911 and VR616, Marathon Advanced Systems, ASC recorders like the Evolutions and the Eyretel E500 and E1000. We can offer support for all these products for a minimum of 7 years. If you'd like to understand more about this, you can always check our website. Our products and services can also be found there. We are also known to give back to the folks that we serve by joining and sponsoring conference events for the local chapters of APCO and NENA. We are going to celebrate National Public Safety Telecommunicators Week by honoring the dispatches by way of contributions and special gifts. We're serving different businesses in the States of Georgia and Alabama and we continue to expand to Mississippi, Tennessee and Florida. We are already excited to share and offer our quality services and products with the rest of the Southeast. John is the President and Founding father of Quality Recording Solutions and he actually has more than 35 years of combined experience in sales, leadership and industry. John actually became a Director of Government Sales at Eyretel Inc., Sales Manager for Harris/3M and Director of Sales at CSI in Memphis before he established QRS. He is also known as a member of APCO and NENA and he took over as the President of Roswell High School Foundation and the Bradshaw Men's Golf Association. John is a lover of gold and he plays it well. He got a golf scholarship at Augusta State University and won the Augusta City Amateur Championship in 1983. With all of these talents, interests and experiences, John is a terrific and exceptional leader and he has brought a lot of things on the table to encourage every member of the team. His favorite advice is: take care of your clients or someone else will! Alex is the Regional Vice President of Quality Recording Solutions and he also handles all the customer experience originating from the initial planning and makes surveys to installation and training. He is very committed to meet the requirements of the customers with the best ability that he can muster and he manages our team to make sure that everything will be implemented smoothly. Alex is also known as an Alabama APCO Chapter Commercial Advisory Member, Georgian NENA 1st VP and also as Georgia Emergency Communications Conference Co-Chair. The philosophy of Alex is to always be a student so he can find out more about the needs of the consumers and offer them with the best products and services. He is also an impressive multi-tasker and he keeps our technology up-to-date and make sure that everything runs perfectly. Mark can bring more than 15 years of experience in the installation and servicing phone, voicemail and automatic call distribution systems. He even served 6 years in the communications unit of the Air Force National Guard. He is trustworthy and he is always inspired in his work because he recognizes that he will help other individuals. Are you looking for an simple to use recording solution that's secure and trustworthy? 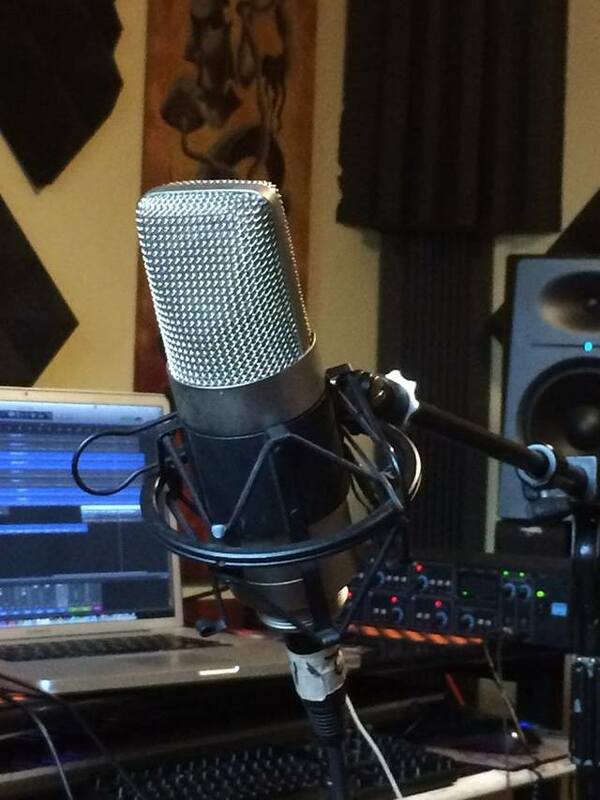 You don't have to go anywhere else since the Eventide recording samples is what you require. These recorders are really easy to use over the aid of MediaWorks software that you can access on the internet or a desktop application, which can make the Eventide recorder more accessible. MediaWorks also supports integrative searching and browsing, live monitoring, audio playback, numerous file exporting options, assurance call and evaluating, data graphing and reporting and much more. Eventide is continuously improving their software regularly to make sure that they could meet the demands of the clients. If you need to know more about MediaWorks, you may read this on the MediaWorks tab to learn about its features. If you'd like to have a live demo of the product, you could call us right now. The NexLog recorders can be able to support a standards-compliant NG911 event logging web service which could enable other NG911 subsystems to deposit and get data like call routing logs and geo-location. This will enable other NG911 subsystems to obtain a recorded media incident through RTSP. MediaWorks is the software that could allow you to connect your NexLog Recorder. You may always access this with the web browser in your secure network or over the desktop application that you actually downloaded. Eventide MediaWorks may help you search, replay, export, burn to CD/DVD/Blu-ray, reconstruct incidents and more. MediaWorks Plus Software can allow you to make a quick call replay and browse and this can include spoken date and time announcements, instant recall mode, advanced incident recording management features, advanced two-dimensional graphical timeline view, simultaneous multi-channel replay and more. MediaWorks Plus software might also permit you to organize groups of associated calls on the saved incidents since every incident will undoubtedly be managed through a committed tab along with its graphical timeline view. This can be a good method to handle multiple incidents in one screen. When the additional calls are actually located, they can be copied in an existing incident and allow you create a complete set of related media or calls. If you'd like to make this easier, incidents can always be saved remotely on the source 911 recorder. Here are the features that you should know Multiple-Channel Live Monitoring, Waveform Displays, Voice Annotation, Geo-Location and Geo-Fencing Capabilities, Graphical TimeLine View, Evaluate Calls with Quality Factor, Call Notes, Desktop and Mobile Access, Flexible Export & Email, Screen Replay, Powerful Search Tools, Incident Recording Management, Instant Recall, Text Message Replay, Secure User Access to Recordings, Audio Redaction, Talking Time and date and Text Annotation. Right here at Quality Recording Solutions, we always commit to the products that we deliver and the personal experience as buyers. We always pay attention to your satisfaction above all else and we will do everything to be sure that you'll be pleased and your units can be effectively installed. We also have skilled engineers that take pride in their great service and product installation in Dothan, AL. We even have service departments that are ready to handle your system along with the professional expertise of the team. By installing new wiring and repairing the existing installations, we can combine our efforts with you to ensure that you will have a specialist system. Quality Recording Solutions can offer the multiple service agreements in Pensacola, FL to suit the needs of the agency. Our offerings generally fall into 3 groups, but we can provide custom maintenance plans that might fit the demands of the customers. The normal service agreement will cover the service and full access to our help desk during business hours from 8 am to 6 pm, Monday to Friday. During these days or hours, the parts and labor are already included and you may also expect software improvements and 24/7 remote monitoring and the service will be charged outside of the business hours. This service agreement will definitely cover remote support and offer access to the help desk. There may also be software improvements and remote monitoring. With this plan, a service charge will only be incurred for on-site service and the customer will need to pay money for the parts. The premium service agreement is actually a full extension of the 1st year warranty, which would suggest that it is going to cover all the service and offer full access to the help desk 24 hours a day and 7 days every week. Software updates will become available and 24/7 monitoring. You are going to not need to think about the parts and labor since they are all included. Quality Recording Solutions will be able to provide web training throughout the warranty period to ensure that you and your team would know the way to use your software. We always want you to enjoy the experience with the merchandise and we are going to do everything to make sure that you will be confident in using the tools that you must make it an asset for your agency's daily tasks. To do this, we may make sure that we are going to provide you with on-site training at time of installation and we provide web-training over the first-year warranty and while under service contract. Quality Recording Solutions can invariably offer the services required for legacy Eyretel (Lanier), ASC, Revcord and Eventide product lines. We're doing this to maintain the performance of telephone recorders as technology ages. You may also call us to learn more about this.